Update August 10, 2017: Sega have confirmed that they’re working on HD remasters of Shenmue. Sega have been on a bit of a roll lately with PC ports, bringing both Bayonetta and Vanquish to PC. They’ve even said they have Yakuza on the list they want to bring over. Nostalgic for the classics? Relive your youth with the best old games on PC. After registering trademarks for Shenmue HD and Shenmue Remastered earlier in the year, it was looking likely that we’d be getting prettied-up versions of the first two Shenmue games on PC at some point. Now Sega have admitted they’re working on making it happen. ‘It’s not a tast we’re not working on’ sounds suspiciously like ‘we are working on it’, doesn’t it? Elsewhere in the interview, Clark says the list of potential PC ports they want to make is “almost identical” to the community wishlist. Original Story January 6, 2017: Sega Europe have registered the domain names ‘ShenmueHD.com’ and ‘ShenmueRemastered.com’, igniting fan hopes that they are working on an HD remaster of the much-loved original Shenmue and/or its sequel. The registrations can be found on domain name search site whois; here are the records for ShenmueHD.com and ShenmueRemastered.com. 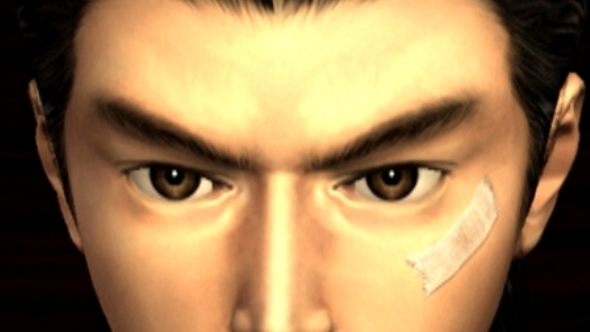 Fans have been clamouring for Shenmue remasters for some time now, especially since Shenmue III was confirmed, and Sega have entertained the idea. Last August, Sega’s European boss Jurgen Post said “we are looking into it”, which lends some credence to the idea that it’s happening. Remastering the early Shenmues presents a number of challenges. Both contain many references to real-world products, which means renegotiating the relevant licences or removing the references. Then there’s the fact that they’re simply very old – it’s not as easy as slapping a bunch of higher-resolution textures on a few models. Perhaps the domain registrations mean Sega has overcome these challenges, having been internally keen on the idea, or perhaps they’re just defensive. But with Shenmue III due at the end of the year, now is the perfect time to release a remaster of its predecessors. Given how old the first games are – and yet how famous – remastering them would be a great opportunity for Sega to capture a new audience. That includes us on PC: Shenmue I was exclusive to Sega’s Dreamcast console, while its sequel also went to Xbox. A remaster would give lifelong PC gamers their first taste of some of the most influential games in history.